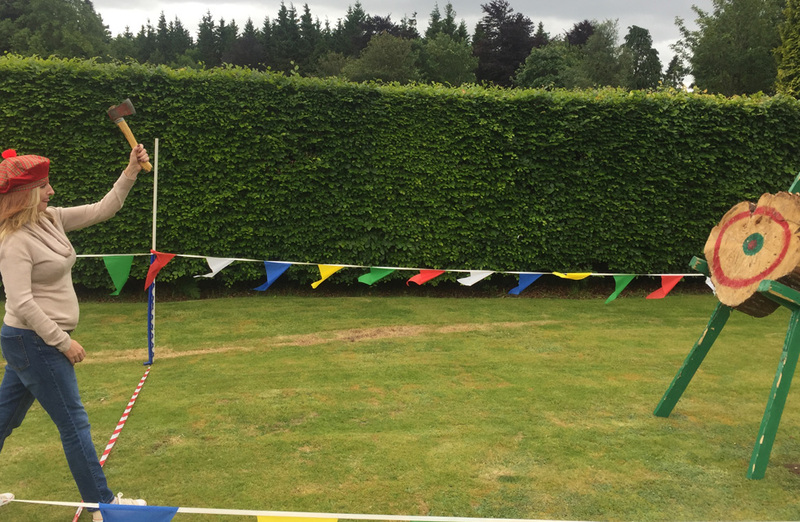 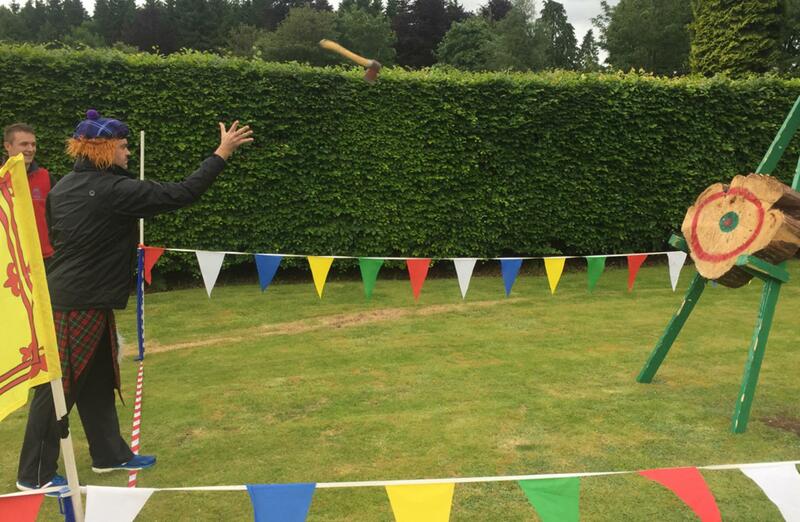 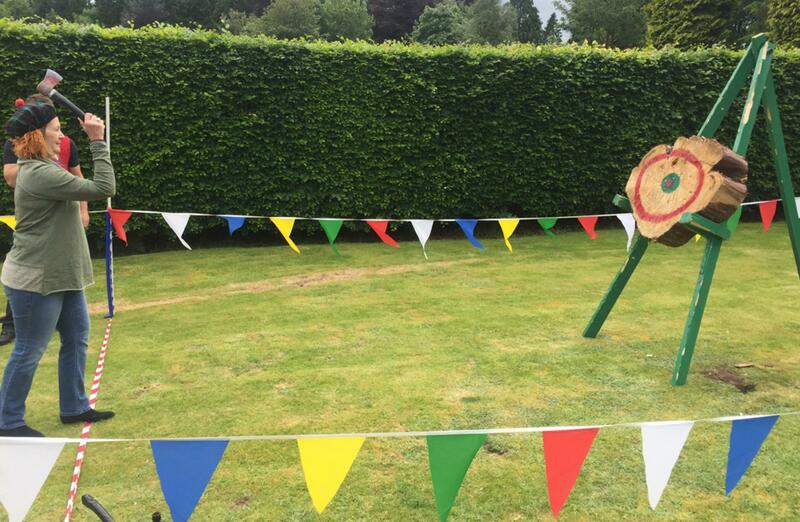 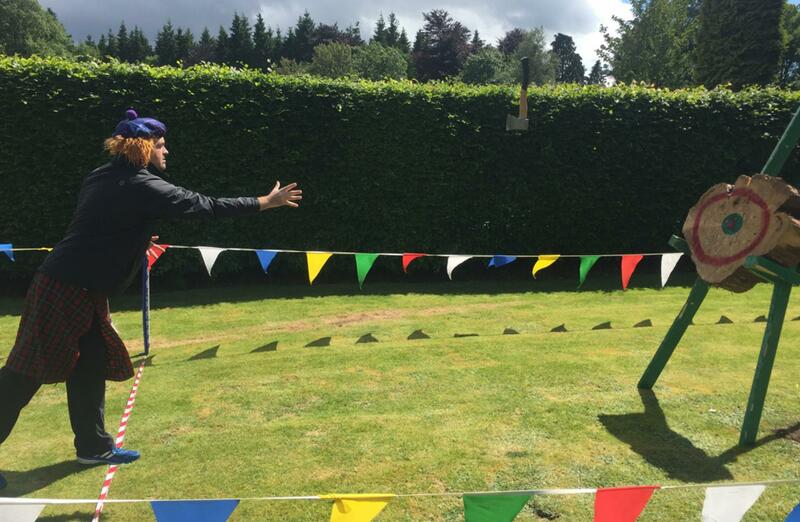 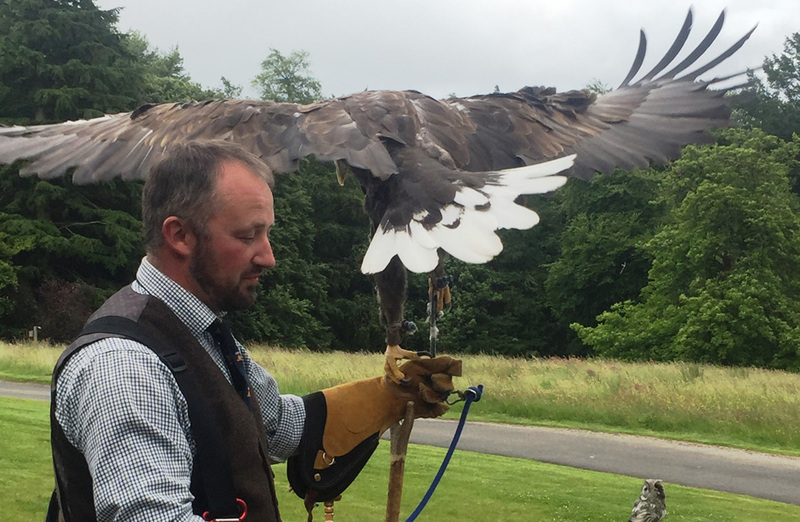 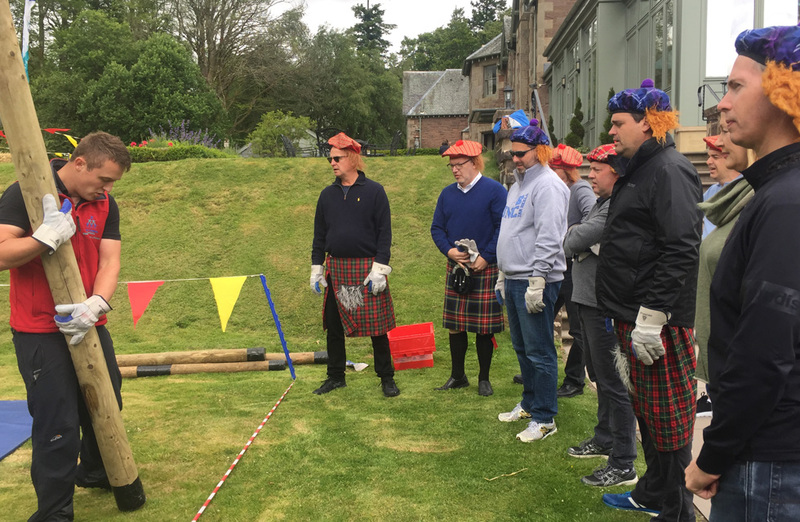 On Saturday 24th June it was time to head to head to the stunning Cromlix Hotel near Dunblane for an afternoon of Highland Games. 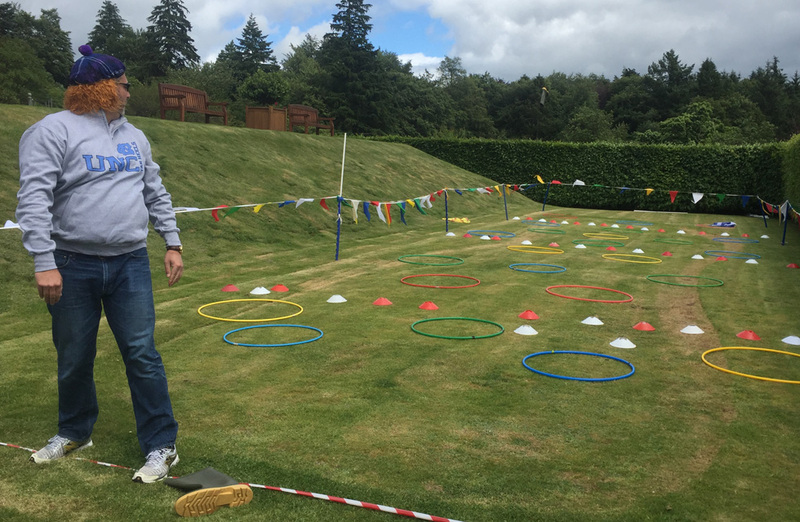 Our team was well prepared for a competitive afternoon, as some guests were already checking out what lay ahead of them and were investigating the activities as Team Challenge Company set up the Scottish activities. 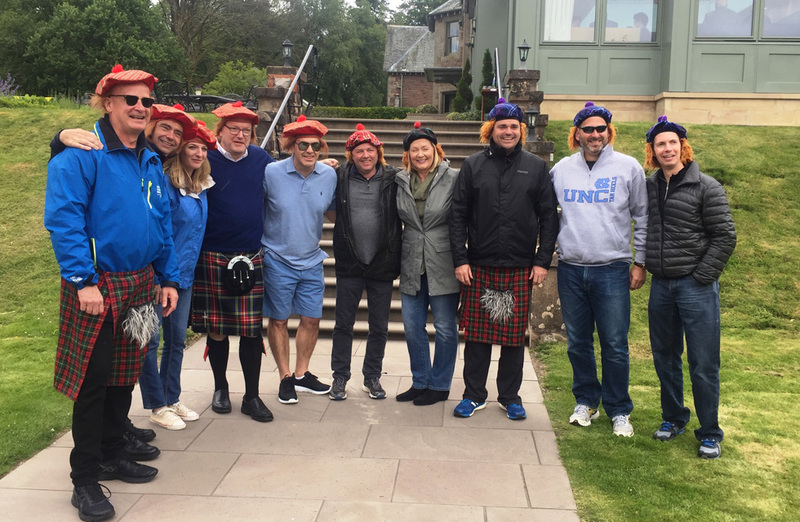 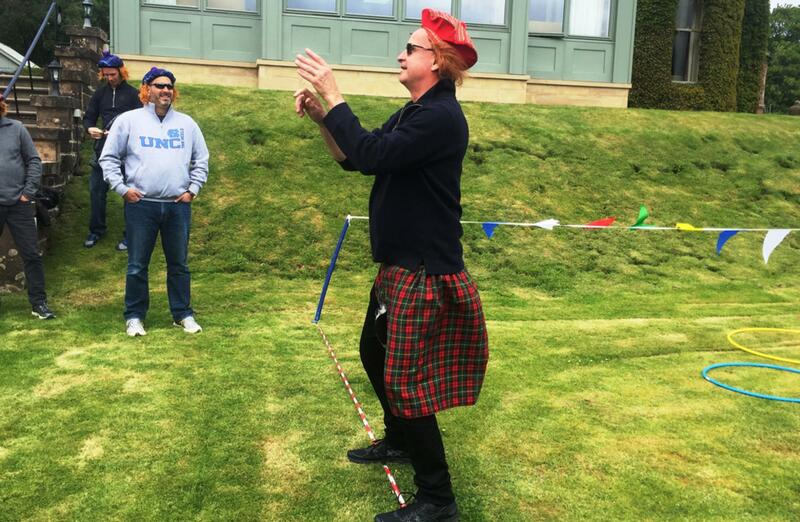 Once the 10 guests arrived, they were divided into their teams and presented with their traditional Scottish attire for the afternoon - Jimmy Wigs and Kilts! 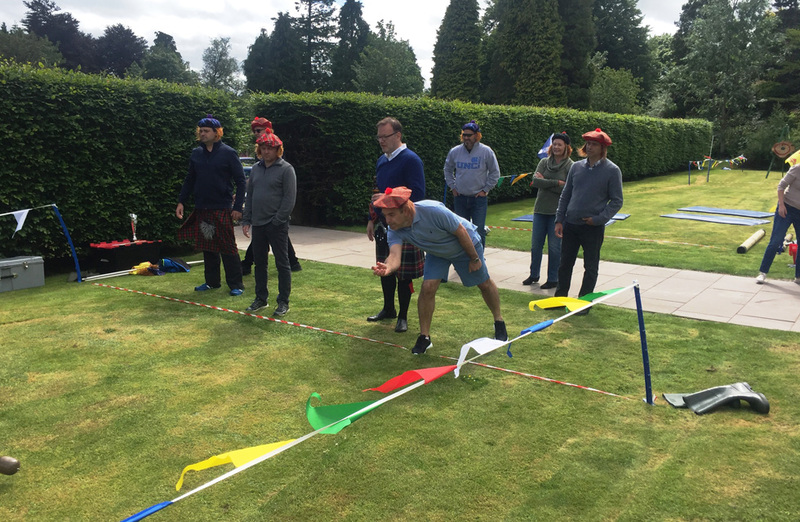 The competitive spirits continued to grow through the briefing, especially between Gary and John, neither of them wanting their teams to be taking home the Wooden Spoon! 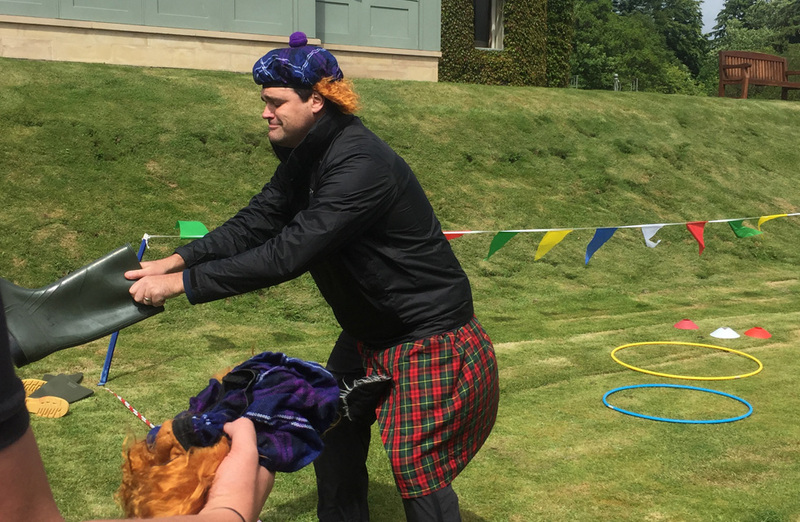 Suitably riled up for the afternoon, it was time for the Haggis Hurlers and The Haggis Hangovers to take on their first challenge of the day at the Welly Throw. 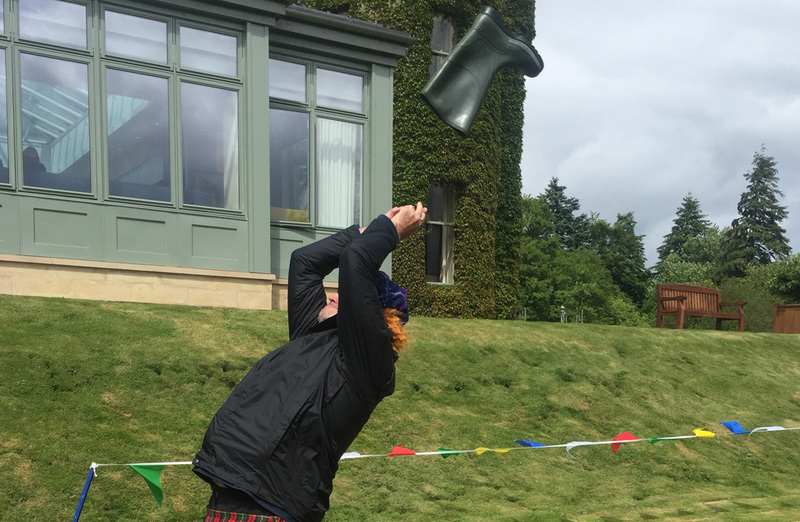 After lots of debate on the scoring and Pat losing a welly in the hedge, we were able to begin! 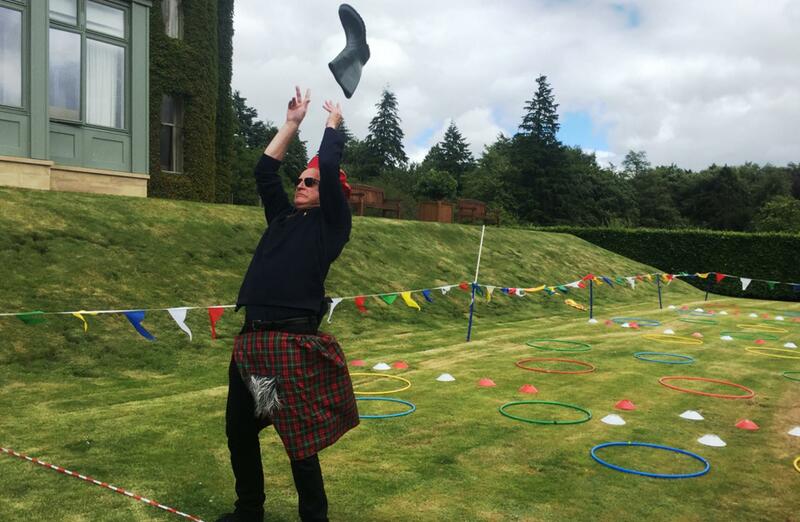 It was very close between the two teams throughout but it was down to the Haggis Hurlers who managed to get an extra 50 points on the Welly Throw, putting themselves in the lead for the afternoon. 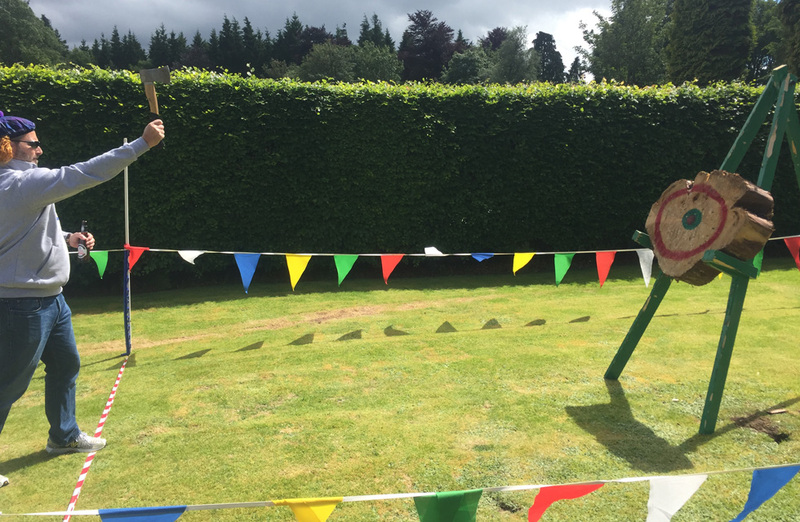 Next we headed over to Caber Toss and it was time to separate the boys from the men! 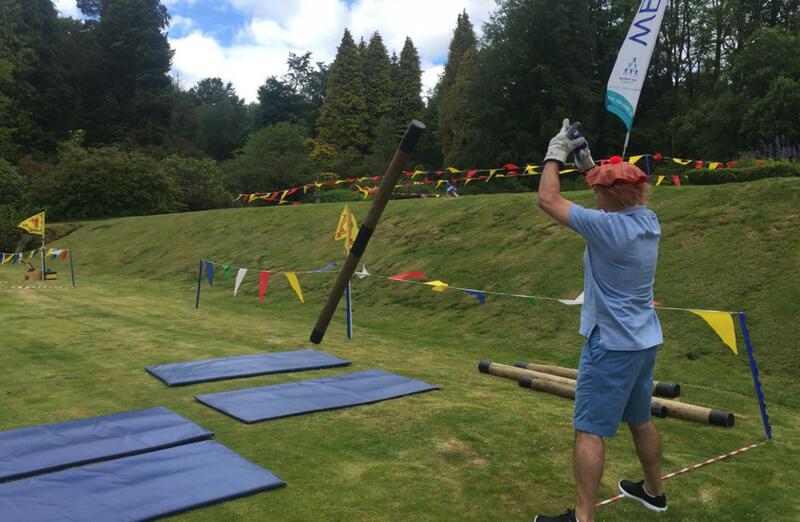 Scott was the first one to take on the largest Caber and successfully managed to flip it but he didn’t quite manage to land it straight, therefore, taking away 10 points short of the maximum 100. 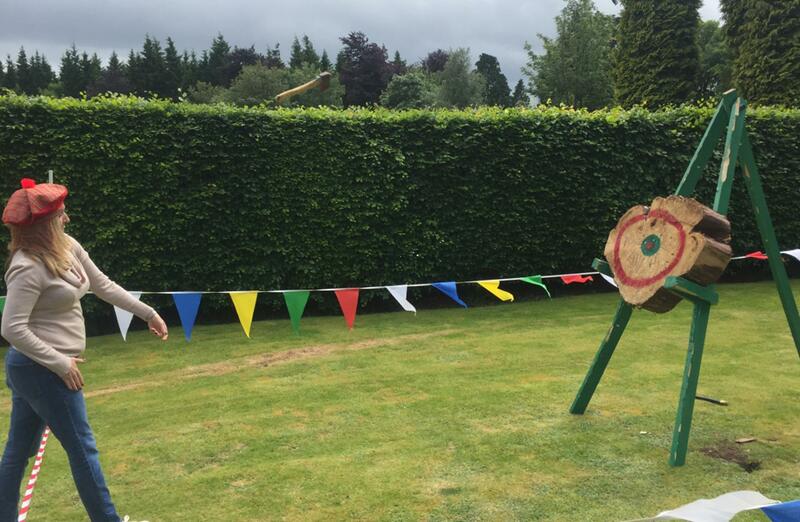 When it was over to John to earn his points for the Haggis Hurlers, he stepped up to the pressure from Scott and took on the extra large caber too, unfortunately despite trying and putting his all into it, he didn’t manage to add any points onto the Haggis Hurlers score! 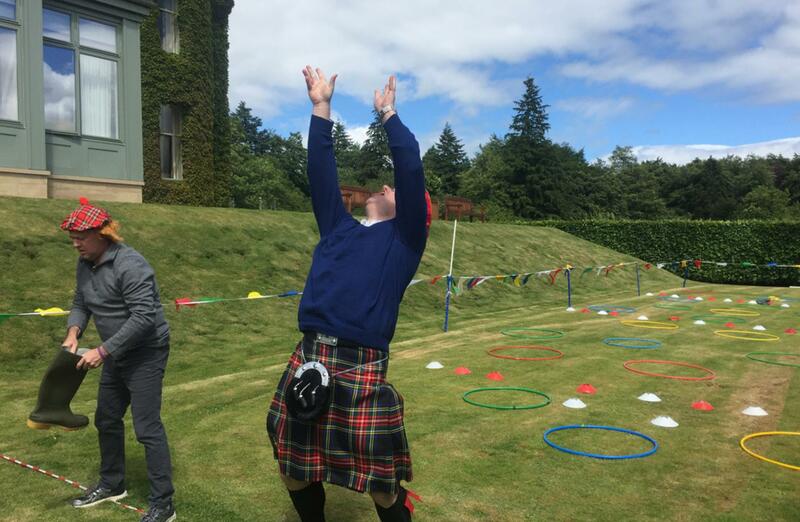 Our freshly caught Haggis was ready to be rolled as the teams had to use accuracy and concentration to land it in the hoops to gain some extra points for their team. 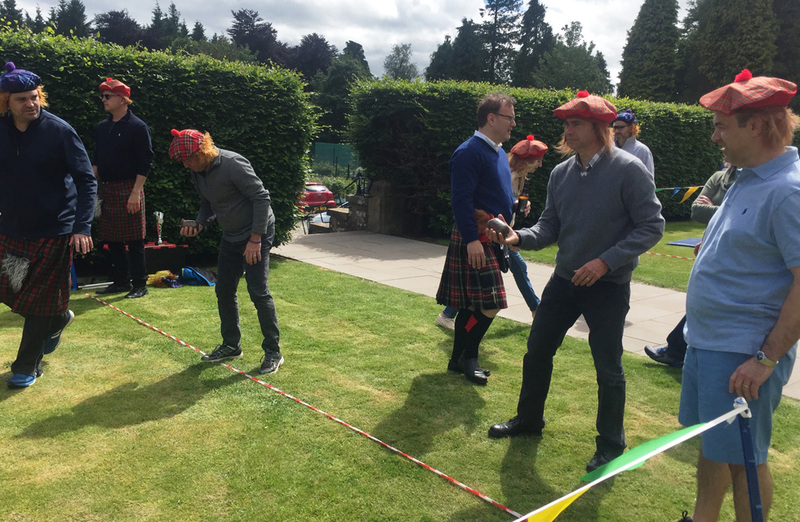 Despite Cathy trying to blag bonus points from Jonathan every 5 minutes, It was all down to Haggis Hurlers to live up to their name on this one and take away 750 points. 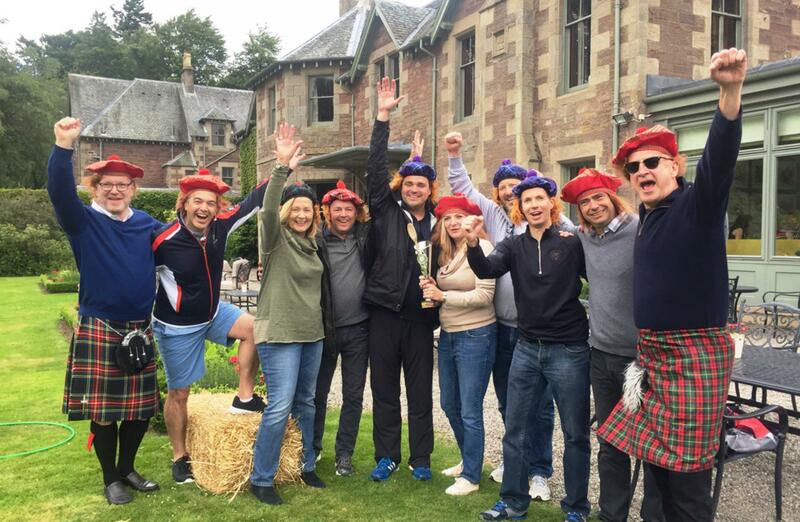 The teams couldn't wait to move on to the next challenge to try and get themselves some more points and get closer to the winners' trophy. 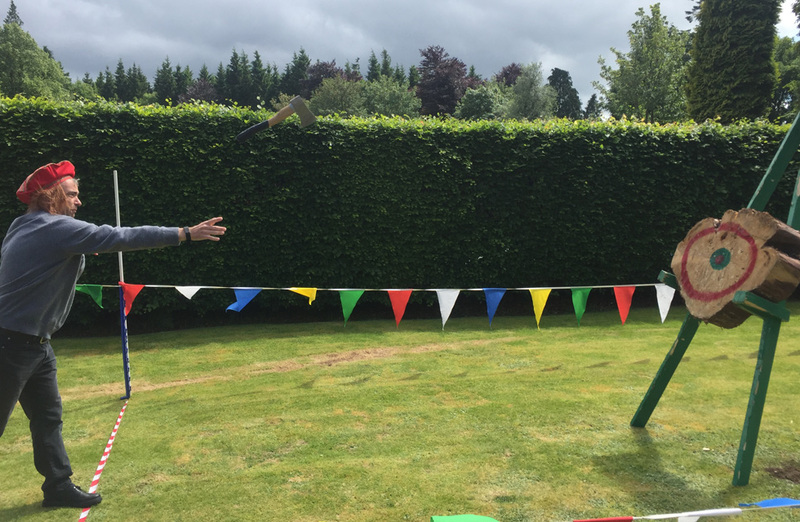 The teams only had two more chances to win the big points and finish in the top spot – competing in the Axe Throwing and Hey You Jimmy obstacle course saw the teams facing many challenges (not just the wind!). 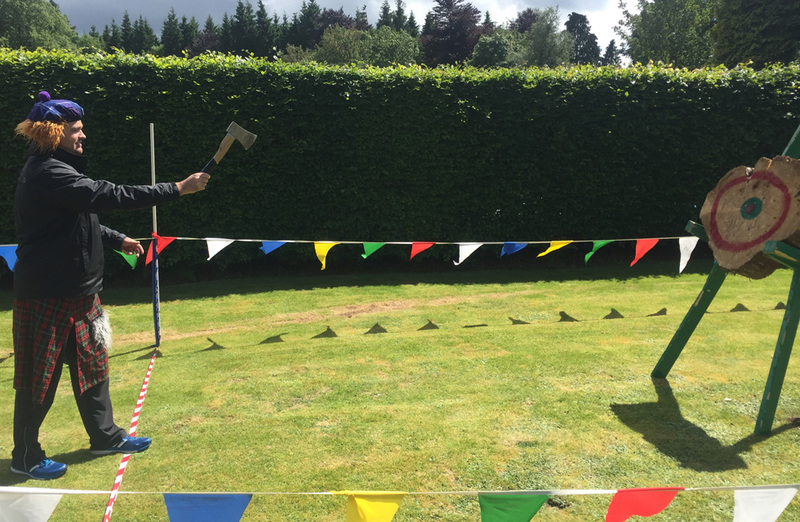 There were some interesting techniques on the Axe Throwing - some more successful than others, Paul’s being the most successful! 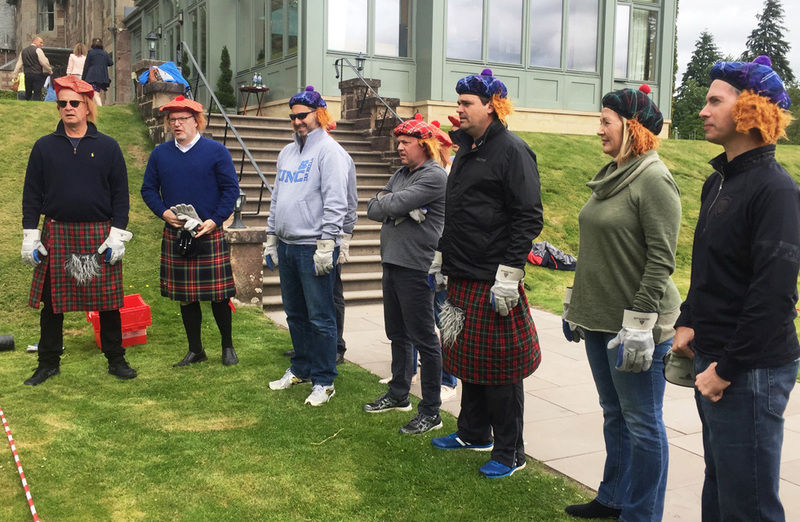 Finally, as teams were neck and neck it was time to head over to the final activity at Hey You Jimmy. 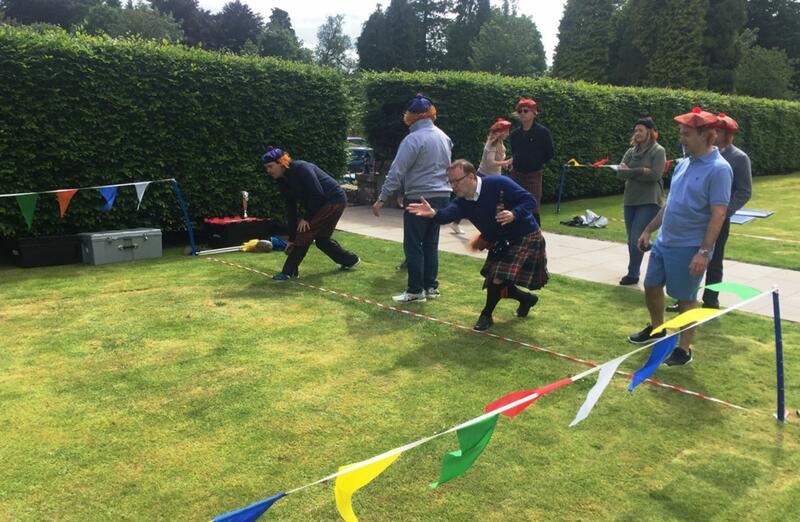 Team Haggis Hangover’s showed incredible speed and flew round the course. 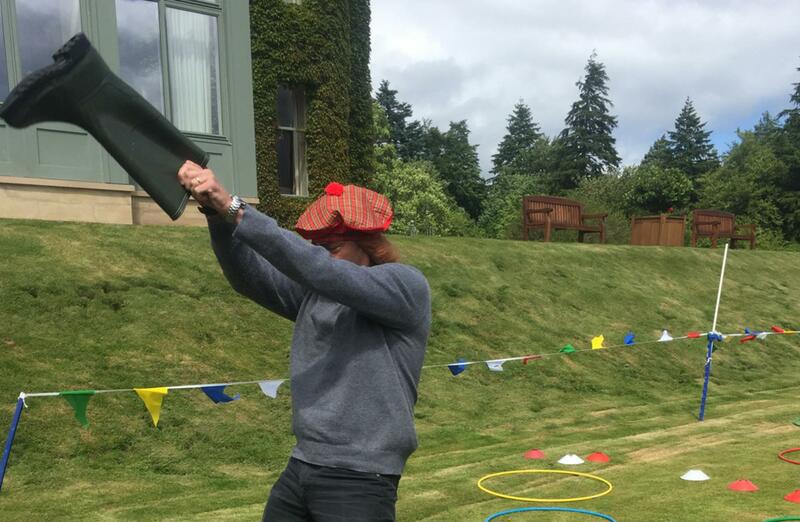 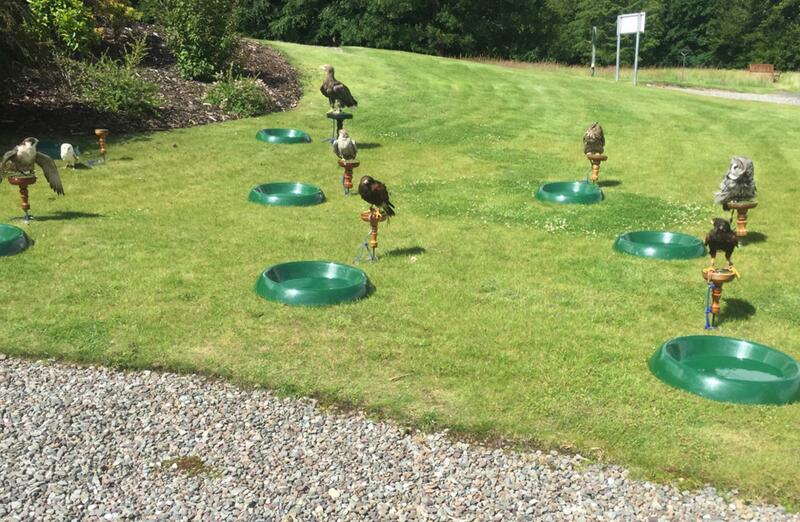 Although, Jonathan almost gave Haggis Hurlers an extra run on the course, when it came to counting the balls in the bucket, it was clear this didn’t have an effect and that it was going to be close between the teams. 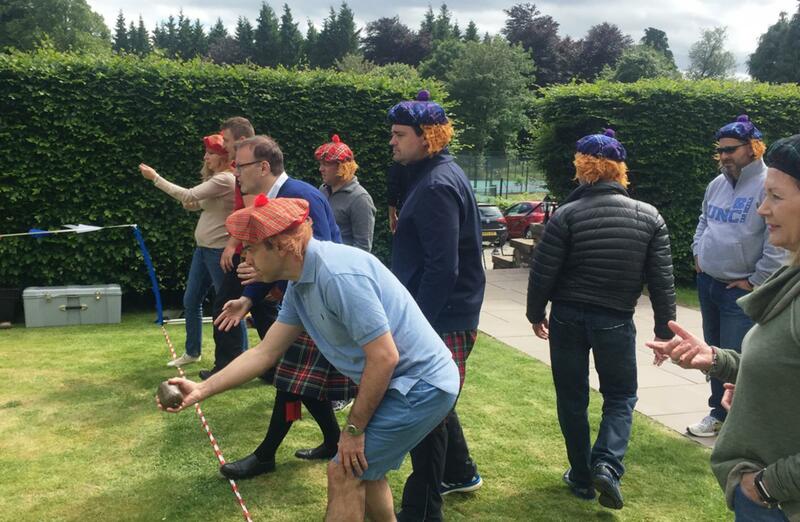 Haggis Hangovers got 65 balls and amazingly, Haggis Hurlers got 66 balls!! 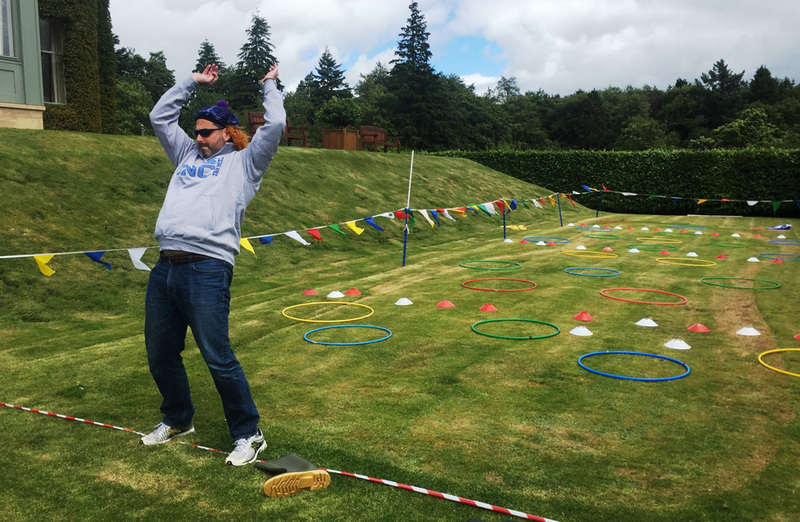 The groups went wild and we couldn't believe the results. 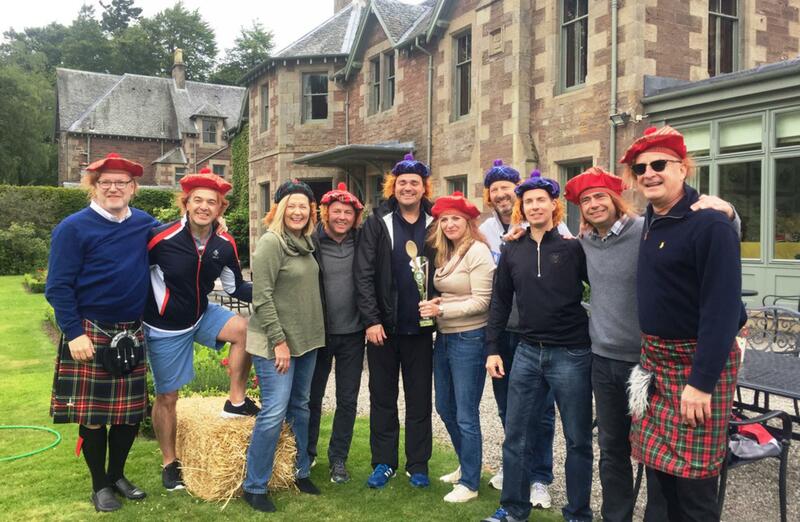 Once all the rotations were finished and all the possible points won, it was time for the scores to be added up and the Trophy Presentation to begin! 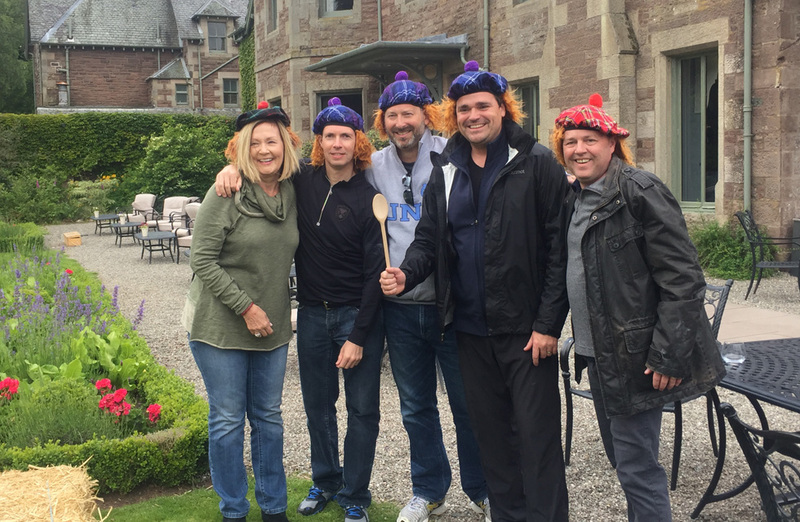 Coming in at Last Place and taking home the Loser’s Wooden Spoon, with a still impressive 4400 points, was Team Haggis Hangover, well done Gary and team. 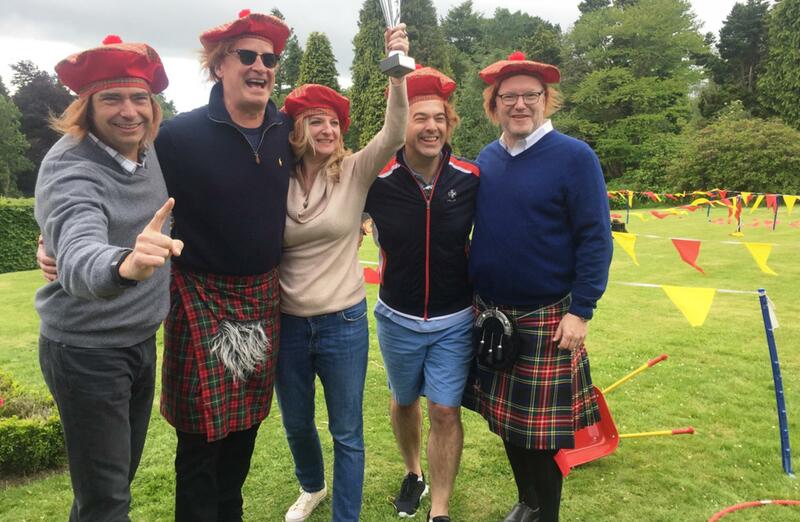 But winning a massive score of 4600 and taking home the Team Challenge Company Winner’s Trophy was Team Haggis Hurlers. 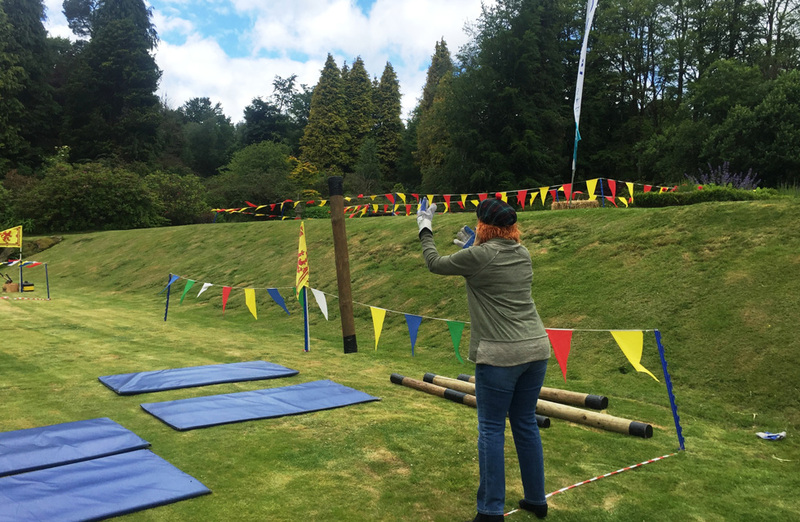 Thank you to the team from Volvo for a fantastic afternoon of Highland Games and to Sharon at The Cromlix for organising a great afternoon. 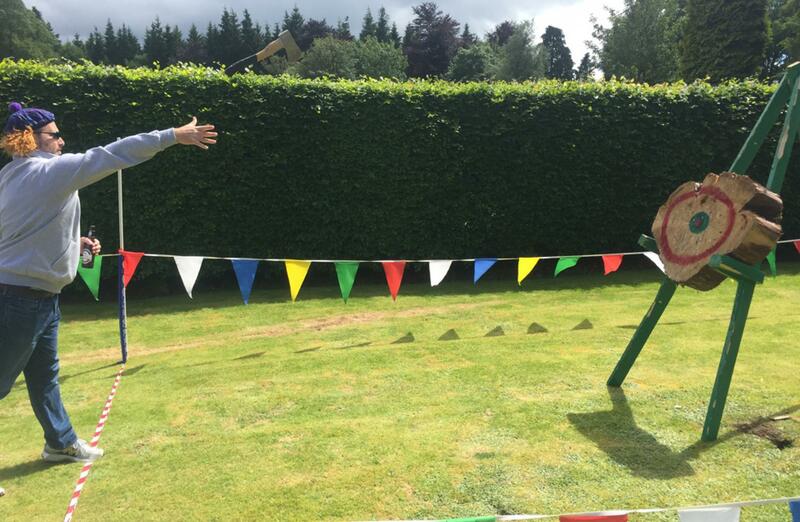 Can't wait to have you back again for another hilariously, competitive afternoon. 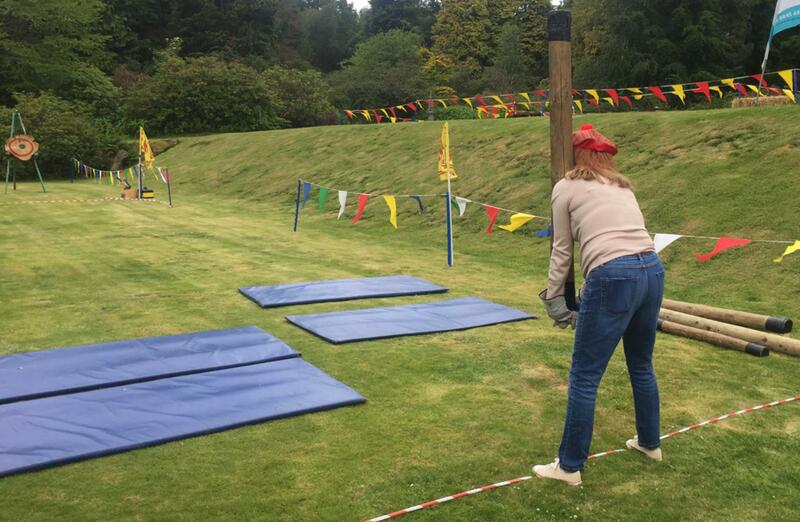 Thank you to the Team Challenge company for all the effort in organising this for our clients. 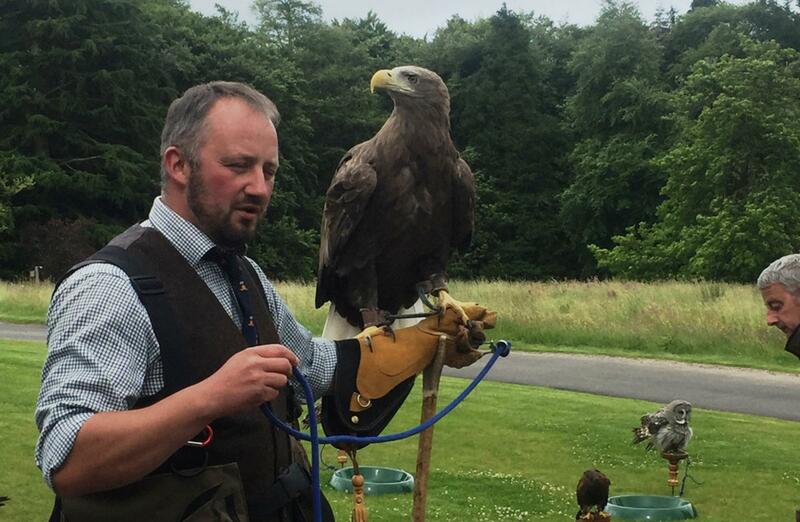 Always a joy to work with, from the initial enquiry through to the delivery on the day. 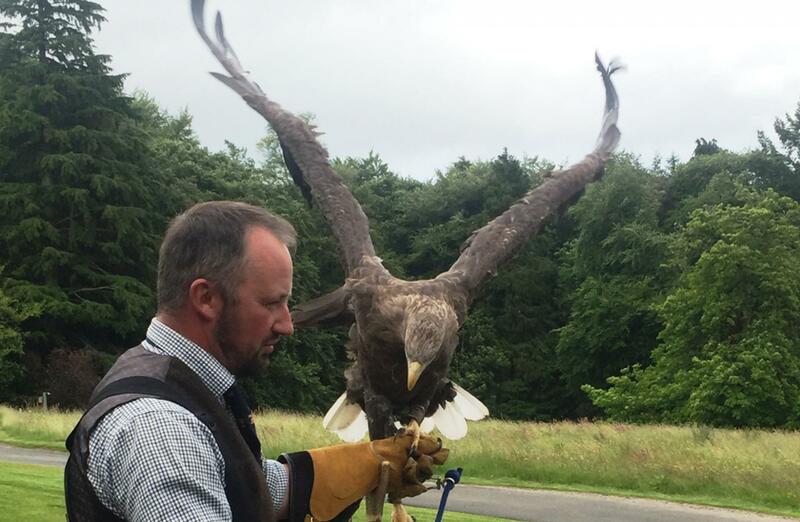 We continue to get fantatsic feedback from our guests when using your services. Fantastic afternoon of Highland Games at the Cromlix Hotel. 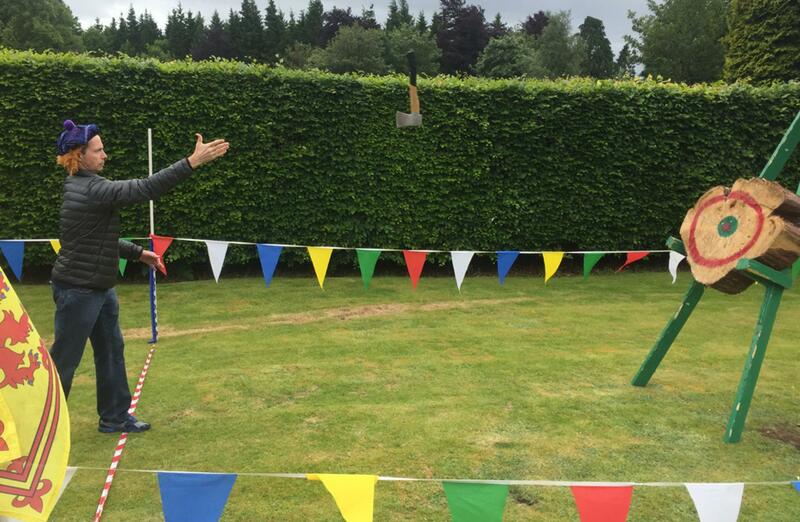 Cathy I'm sure you'll get all your extra bonus points next time!